Facing Promenade Park and the Pacific Ocean, the Hilton Boutique Hotel is a full-service hotel with amenities including a destination restaurant, cafe, bar, health spa, rooftop lounge and bar, and ballroom and meeting rooms with outdoor breakout space that can be used for weddings and other events. The outdoor pool is on the second level facing Promenade Park and the ocean. 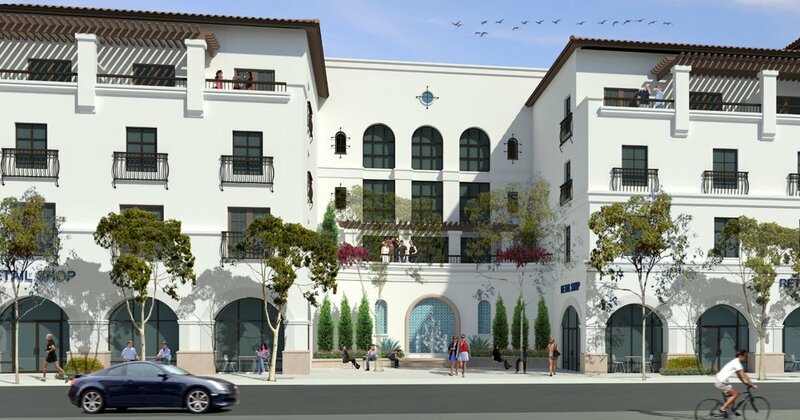 Additional retail space along the street frontage facing the Ventura County Fairgrounds brings more activity to the hotel ground level. The majority of the guestrooms and premium suites have ocean views.